Loyalty cards, Clubcards, Nectar points… rewards are everywhere, and inextricably tied to our shopping behaviour, so why not use them to get money off expensive flights? Frequent flyer points have been around for decades, but only in the past few years have airlines gotten involved in spending programs that give rewards to shoppers even if they barely fly with the airline at all. Is collecting air miles a sensible way to get money off flights? Are airline credit cards worth the bother? They definitely can be, but only if you properly investigate the air miles market, and spend very wisely indeed. At its simplest, an air mile is a unit of currency used by loyalty programs created by airlines. Each time you fly, you get one air mile for every mile that you fly with an airline. However, times have changed, and things have become much more complicated in recent years. Air miles are now better defined as points earned on purchases at shops and services that participate in a scheme that allows the shopper to redeem their points against flights. However, those points tend to be redeemable against only one airline, or group of airlines. What's the best way of collecting air miles? Know the market. Most travellers don't understand the system well enough to take advantage of the perks and rewards available. The best way to approach collecting air miles is to look at it as a long-term project. Are you going to get a free long-haul flight next summer if you start collecting air miles now? No, although you may get a free one-way short-haul ticket as a sweetener when you join a scheme. You'll be lucky if you collect enough air miles to afford a discount on a long-haul flight in the next few years. 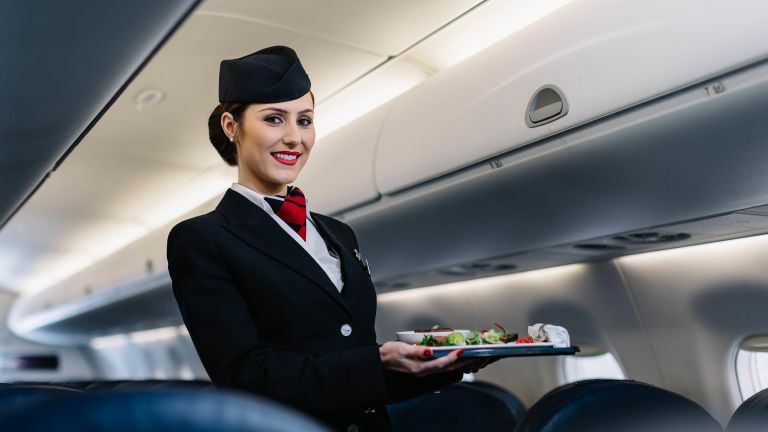 But fast forward five years and you could be looking at getting a free flight, or a juicy upgrade from economy to business class, on a long-haul flight to your dream destination. That's going to feel really good. So get collecting, but spend wisely. The easiest way to do that? That's got to be airline credit cards, which are available to everyone and allow you to collect points while you spend money on everyday items rather than just flights. After all, very few people are frequent flyers always jetting off on business trips, and able to accumulate air miles almost by accident. Airline credit cards essentially funnel your reward points to a frequent flyer program, so the first step is to decide which airline you want to fly with. These are the bedrock of air miles and rewards programs operated by the airlines themselves. They don't tend to exist for budget airlines, which is a massive shame if you take most of your flights with the likes of easyJet and Ryanair. Frequent flyer schemes are only offered by top-tier airlines, and are little more than a reason for normally price-savvy consumers to think less about the cost of the flight, and more about the airline’s brand. They’re aspirational, and an effort to bolster an airlines’ brand. You need to commit to one airline, or at least, one group of airlines. If you tend to always shop around for the very cheapest flight, that's probably going to be a deal-breaker. However, these are loyalty schemes designed to encourage you to fly with the same airline again and again. In practice, the world of aviation is divided into three groups; Oneworld, SkyTeam and Star Alliance. Decide which group is going to work for you more often than not. For example, if you always fly out of Heathrow Airport and you take a lot of long-haul flights, Oneworld is probably for you because it includes British Airways, American Airlines, Cathay Pacific, and Qatar Airways. That covers a lot of destinations both in Europe and beyond. Each time you book a flight with any of those airlines, simply enter your British Airways Executive Club membership number to automatically have air miles applied to your account. However, as well as looking at what might be your 'favourite' airline, consider the long haul destinations you may want to visit over the next five to 10 years. What airlines are in Oneworld? What airlines are in SkyTeam? What airlines are in Star Alliance? The theory is pretty simple. You sign up for a credit card that is tied to a frequent flyer program. Every single pound you spend is then converted into air miles. Sounds simple? It is not. Not surprisingly, one pound does not necessarily equate to one air mile, and even more perplexing, these credit cards give you a lot more bang for your buck if you agree to pay an annual fee. It works best if you and your partner have a card each for the same account, and put as much expenditure as possible on them. What are the best airline credit cards? The best airline credit card for you will depend on which airline you want to commit to, though it’s worth knowing what kind of points bonuses are available. Note that some are American Express (which is rarely accepted in restaurants and smaller/independent shops) and some are Mastercard (which is accepted everywhere). You'll get 20,000 bonus points when you spend £2,000 in the first three months, and you Amex reward points can be converted into miles for several different frequent flyer programmes. You also get a couple of vouchers for airport lounges. It costs £140 per year after the first year, which is free. The former gives you 5,000 Avios (reward points) and if you reach £20,000 annual spend, a companion ticket so that a partner can travel with you for free. The latter costs £195 per year, gives you 25,000 Avios points on sign-up, earns you a third more Avios points, and that companion ticket after you spend £10,000 in a year. The former bags you 10,000 bonus miles if you spend £1,000 within 90 days, and if you reach £20,000 annual spend you get either a companion ticket or a flight upgrade from economy to premium. The latter, which costs £160 per year, gets you 25,000 bonus miles, twice as many Flying Club miles on your spend, and that same companion/upgrade ticket when you reach £10,000. What's the best way to use airline credit cards? You've really got to commit to using this credit card for as much of your daily, weekly and monthly expenditure as you possibly can. Supermarket shops are a good way of topping up your air miles, as are making large purchases… such as flights. So yes, you can buy a British Airways flight from its website and get both the air miles from the flight itself and reward points from the expenditure if you pay for it using a British Airways American Express credit card. Here comes the really tricky part. Even though you've spent wisely for a few years, being careful to use your air miles credit card for as much as you possibly can and you've paid-off that credit in full each month (if you're paying interest each month, it's not financially worth the bother), finding reward flights takes just as much planning. First, face the fact that there is no such thing as a free flight. You always have to pay the tax yourself. However, don't let that put you off because it is still possible to find cheap flights and big discounts on expensive long-haul routes. Airlines release a limited number of reward seats on their flights, so you need to get in quickly – as much as a year ahead. Savvy users of air miles will be on airlines' websites the same day that those airlines confirm their flight schedules, which can be up to a year in advance. Get clued-up, get organised and get spending, and collecting airmiles can be a great way of getting the occasional perk. Just make sure you put all of your eggs in one basket – and choose that basket wisely!